Tax reform: 2018 tax rates – do they help? These rates do change based on income levels, which are adjusted due to inflation. The rates also differ between single and married filing jointly with the amounts being basically doubled. As you can see, the lowest rate is still 10% but now the highest is capped at 37%. This change will be a nice benefit because with many itemized deductions being removed, individuals will make up for this with the reduction in rates. Next, look at the income levels, in the past the highest bracket began at $418,401 for single filers and $470,701 for married filing jointly. 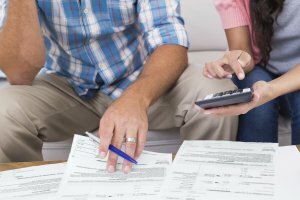 This could mean a lower bracket and considerably lower rates for someone whose income will not change between tax years. Ultimately, every circumstance is different, so consulting your tax professional is a priority. But overall, the reduced rates with higher income thresholds can be a great benefit for many taxpayers.